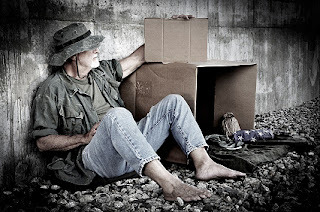 Veterans in the United States face ongoing economic hardship. Despite being lauded by the media and political establishment as “heroes,” they face high rates of poverty and unemployment. 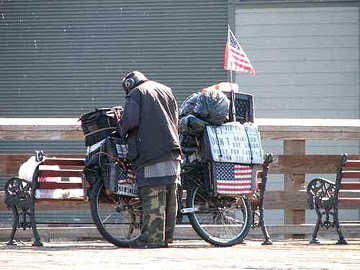 One in nine veterans is living at or below the poverty line, and 13 percent of homeless people in the US have been in the military. Employment prospects for veterans who served in Iraq or Afghanistan are dismal. 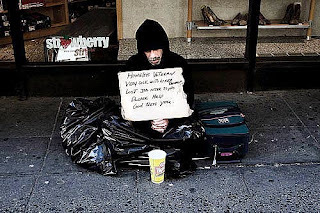 According to the Bureau of Labor Statistics, as of October 2013 they faced an official unemployment rate of 10 percent, compared to a rate of 7.3 percent for the general population. Among those who are disabled as a result of their service in one of the two recent wars, this rate climbs to almost 13 percent. For those returning home who have found work, many have found it with firms such as Walmart, the nation’s largest employer of veterans. Walmart pays its staff near-poverty wages. According to the company, the average employee who works 40 hours a week takes home $26,100 a year, or $3,000 above the poverty line for a family of four. With the support of the Obama administration, Walmart has made a commitment to hiring more veterans. At an April press conference featuring the US president’s wife, Michele Obama, the CEO of the world’s largest retailer promised to hire 100,000 more veterans in the coming years. One cause of the poor employment prospects for veterans is their lack of training for the civilian workforce. The US Army Recruiters indicate that the average age of those who enlist is about 20 years old for both active duty and reserves units. About one third of these new enlistees go into a combat arms specialty, a field that that leaves them largely unprepared for civilian employment. Of those who are able to get training in vocations that have an application in the general job market, many face barriers to obtaining positions. For example, some medical professions have licensing requirements that do not recognize military experience, thereby disqualifying even highly experienced veterans. 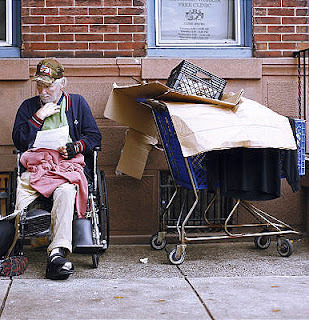 Veterans are also being affected by broader cuts to social services, in particular the Supplemental Nutrition Assistance Program (SNAP). For each year over the course of the next 10, SNAP will see its budget slashed by $4.5 billion. The gutting of the program, commonly known as food stamps, will see 4 million people removed from eligibility, with the rest experiencing substantial reductions in the size of the benefits they depend on to feed themselves and their families. Current estimates put the number of veterans and their families that receive these benefits at around 900,000. A majority of those, 51 percent, are under 30 and have served in Iraq or Afghanistan. 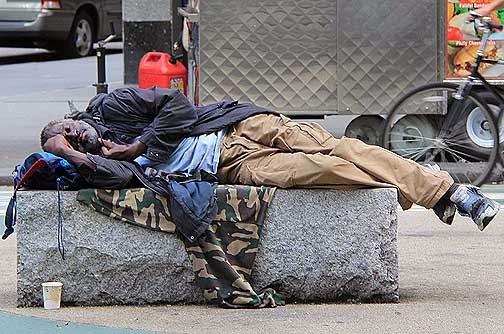 Margarette Purvis, the president of Food Bank for New York City, told Russia Today in November that 40 percent of the city’s veterans are food insecure, with as many as 95,000 of them receiving some form of food assistance at any given time. 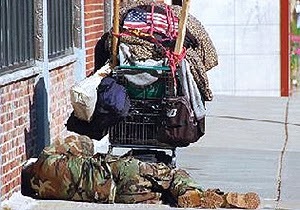 This WSWS reporter spoke to an Iraq war veteran who lives in Michigan. He works two jobs—during the day as a substitute teacher and at night as a factory worker—to support himself, his wife, who is also a veteran, and children. Both parents attend college part-time. Despite still serving in the reserves and receiving tuition reimbursement through the GI bill, he is unable to support his family and attend college without having to take on two jobs. Another serviceman from Michigan interviewed for this article explained that he had not seen any of the benefits promised for his service because of a bureaucratic error that made him ineligible to receive them. As a result, he has had to take on tens of thousands of dollars of debt in order to pay for his medical bills and college education. Several years later, he is still waiting for the error to be corrected. The Veterans Administration (VA) reports that it has an error rate of almost 15 percent that results in the denial of benefits to veterans. Most of those affected by these mistakes are people suffering from physical or psychological trauma. The Board of Veterans Appeals, which handles the claims of those challenging denials by the VA, maintains that the wrongful denial rate is much higher, reaching as much as 75 percent. As of September of this year, more than 250,000 veterans were appealing the decisions made on their disability claims, an increase of approximately 50 percent since President Obama took office. 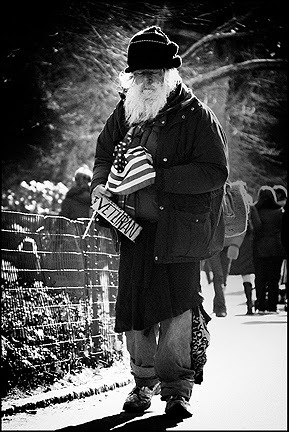 There is currently an epidemic of psychological disorders within the veteran population. 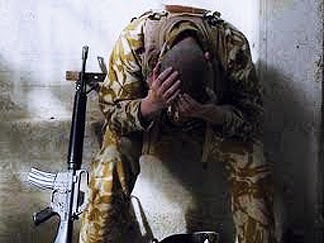 The Iraq and Afghanistan Veterans of America reports that up to 40 percent of soldiers returning from these wars have developed some form of mental illness, including post-traumatic stress disorder (PTSD) and clinical depression. PTSD is characterized by severe onset of symptoms after a traumatic event such as combat that were not present before the event. These include nightmares, anxiety, flashbacks, depression, anger and psychological distress, according to the Centers for Disease Control and Prevention (CDC). Suicide rates among veterans continue to be extremely high, about two a half times that of the general population. According to the data furnished by the VA and CDC, 22 suicides a day, or about 8,000 deaths per year, occur among veterans. At the same time, large number of US veterans cope with crippling physical injuries. According to a report by the Huffington Post, 40,000 veterans of Iraq and Afghanistan are living with traumatic brain injuries, which have been linked to suicidal thoughts and actions. In November, the International Business Times reported that the number of non-fatal casualties from the Iraq and Afghan wars had exceeded 1 million.